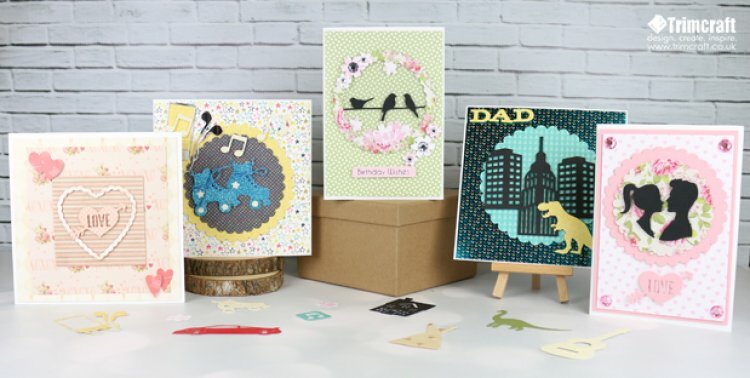 Our latest diecutting collection features ontrend designs that are perfect for all types of occasions! One day you might add a hint of the wild to your projects and the next, craft the most delicate design, the First Edition dies are really that diverse! The First Edition brand endeavours to offer both quantity and quality in each pack, so that you can create a professional, fun filled design in a matter of minutes! This premium selection ranges from delicate and traditional designs to striking and modern illustrations that will work perfectly alongside the First Edition paper collections. A Picture says a thousand words and we think our dies do too! The silhouette designs within this collection will warm the heart of any person receiving your craft. We are so excited to use these new dies in our craft projects! What do you think of the latest collection? We’d love to know so make sure to comment below!